Shortly after we got back from our recent vacation to southern Florida I received a nice big envelope in the mail. I had not idea what it could be but upon opening it I was ecstatic. 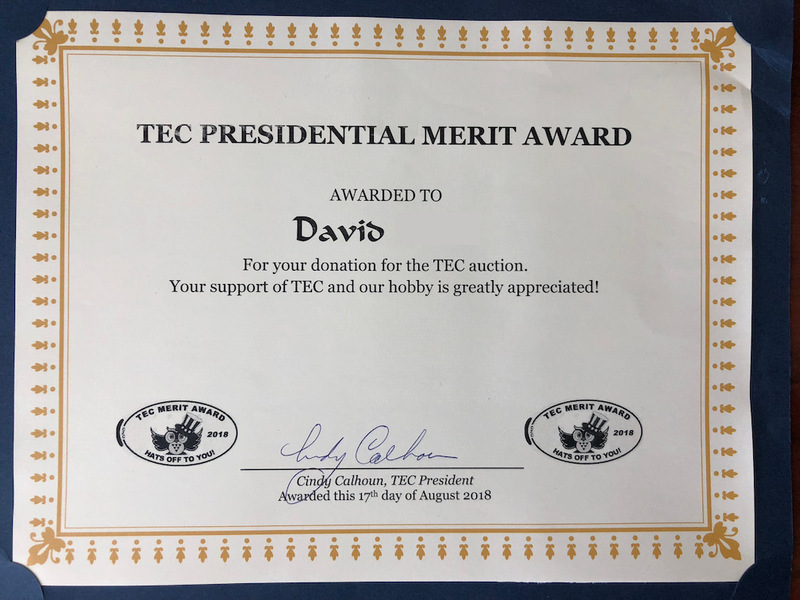 Inside was a TEC Presidential Merit Award and a special pressed coin created just for this award. This was completely unnecessary but very much appreciated. Each year TEC (The Elongated Collectors) had their annual meeting at the ANA (American Numismatic Association) convention. Our club is always trying to raise money and they have a fantastic auction at the annual meeting of items that are donated by the members. I donated something this year and am sure it found a good home. This blog and my YouTube channel is really a passion for this hobby that I have and I love sharing with everyone. Anything I can do to help spread the word about TEC and pressed pennies I will do. 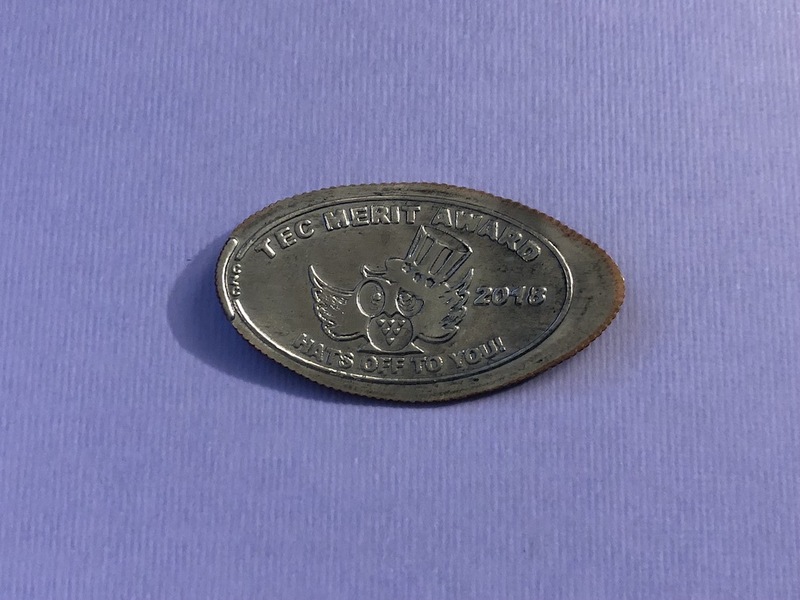 Thank you to Cindy Calhoun the current TEC President for this award and wonderful pressed coin. I met Cindy quite few years ago at a TEC annual meeting in Philadelphia and she is a wonderful person and another big advocate of our hobby. If you haven’t already please visit http://www.tecnews.org and become a member. The fee is very reasonable (for 2018 it’s $11 a year for a digital subscription or $15 for a printed hard copy subscription). There is a great newsletter issued each quarter, and lots of pressed coins are donated and distributed out to all the members with each issue. This club has been a great resource to meet fellow collectors, trade tips and tricks or just read some great articles about pressed coins.